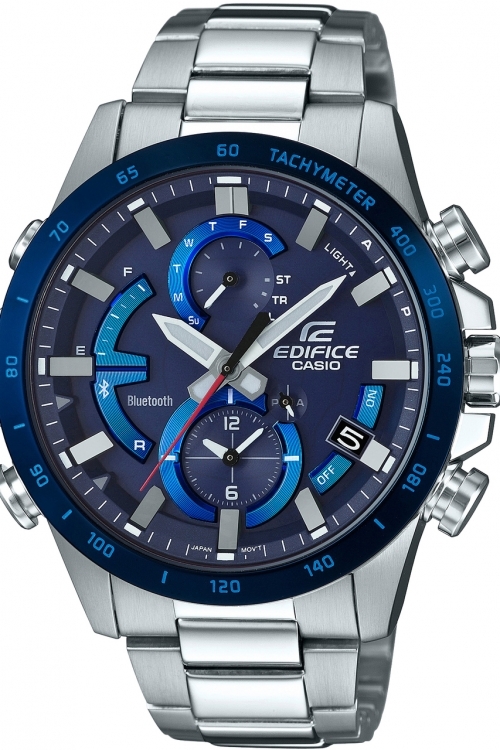 Casio Edifice Bluetooth EQB-900DB-2AER is a great watch. Material of the case is Stainless Steel. This model has got 100 metres water resistancy – it is suitable for swimming, but not guaranteed to be resistant to jumping into the pool. The watch is shipped with an original box and a guarantee from the manufacturer.